BMI proudly presented its BMI Icon award to GRAMMY-winning songwriter, composer, producer, arranger and guitarist, Nile Rodgers, at the 2015 BMI R&B/Hip-Hop Awards. 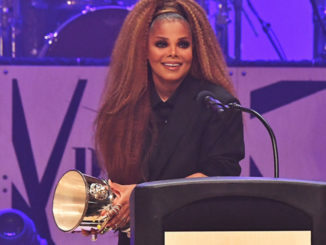 Held at the Saban Theatre in Beverly Hills on August 28, also celebrated the songwriters, producers and publishers of the most-performed R&B/hip-hop songs of the previous year. s the 2015 BMI Icon award recipient, Rodgers joins an elite list of previous honorees that includes The Jacksons, Snoop Dogg, George Clinton, James Brown, Isaac Hayes, Little Richard and Al Green, to name a few. 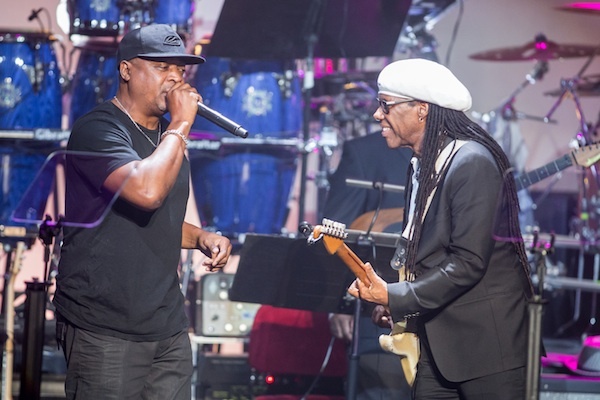 The celebration continued with CeeLo Green’s dynamic performance of “Let’s Dance.” The night concluded with the top honoree taking the stage to perform fan favorites “Good Times” and “Rappers Delight,” with hip-hop legend Chuck D joining Rodgers. DJ Mustard also won the coveted Producer of the Year award for the second year in a row, while Universal Music Publishing Group accepted the prestigious Publisher of the Year crystal for having 18 of the most-performed songs from the previous year. BMI also recognized top producers Kanye West, J Cole, Jim Jonsin, Michael “Finatik” Mulé and Isaac De Boni. Selected by fans voting via Twitter and Instagram, SoMo won the BMI Social Star Award, which salutes the BMI R&B/hip-hop songwriter who has best demonstrated the power of social media to showcase their songwriting talents. BMI President and CEO Mike O’Neill and Vice President, Writer/Publisher Relations, Atlanta, Catherine Brewton, shared the evening’s hosting duties with R&B artist and actor Ray J, while guests celebrated and enjoyed Red Bull cocktails during the evening’s festivities. BMI partnered with HD Radio, TW Steel, Provider Inc. and KIND Snacks to present the 2015 BMI R&B/Hip-Hop Awards. To watch an exclusive interview with BMI Icon Nile Rodgers, click here!